Buy True BusinessID Certificates and take advantages. QuickSSL Premium Certificates is with Docs required for authentication and verification domain. RapidSSL Certificates with up to 256-bit encryption and verification of entity domain. Does Easyspace offer Reseller Programs? Yes, they offer their servers to resellers and have been doing so for the past decade. However, they do not offer predesigned plans. Resellers can contact their customer support staff to learn more about the possibilities of reselling their hosting plans. 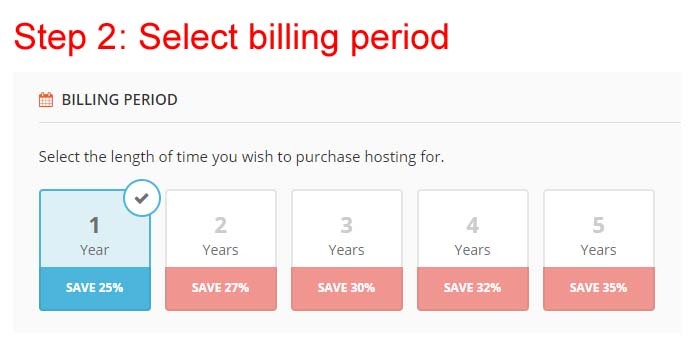 How much can I save with coupons on my hosting plan? This entirely depends on the coupon itself and also how long your term is. In general, the longer the billing term the more saving you can make. At Easyspace, you can sign up for as much as a 5-year plan. You can even save up to 50% on your entire bill. Easyspace offers special offers all year round. You can enjoy incredibly low rates, free domains, free transfers, free add-on services (e.g. SSL) using these special promotions. In some cases, your promotion will be activated just by clicking the code. You do not even have to enter any code. Easyspace is a UK-based hosting company that provides high-end hosting solutions for businesses in the UK and beyond. They have one of the strongest infrastructure and network for hosting in the UK. They cater to startups as well as enterprises looking for the absolute best servers. Their plans offer clear features and the flexibility to upgrade to higher plans as and when needed. Easyspace offers high-quality but affordable web hosting solutions for UK businesses. Their plans include Standard, Premium, and one dedicated especially to WordPress. 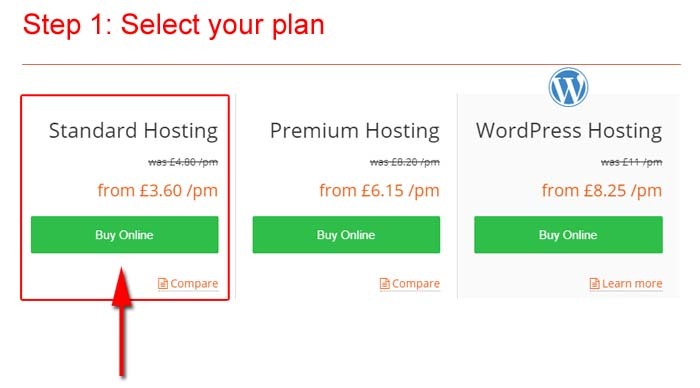 The Standard Hosting is £3.60 per month and the Premium is £6.15 per month. 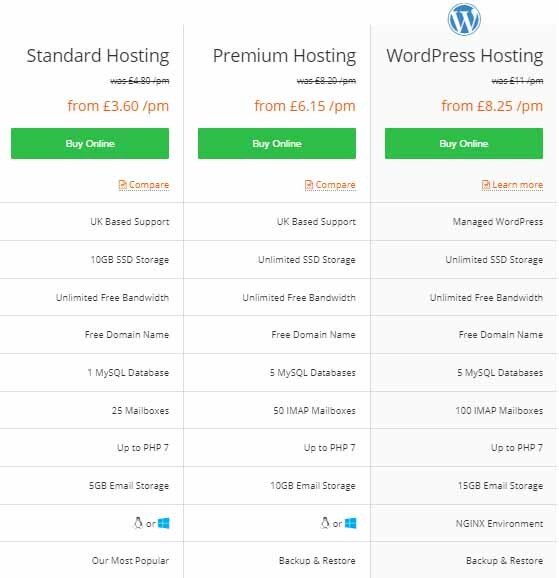 The WordPress hosting plan is a bit pricier than the two and costs £8.25 per month. The Dedicated Servers at Easyspace are packed with power and pre-built solutions are added every day. You can browse through their list to find a server that best suits your websites’ needs. 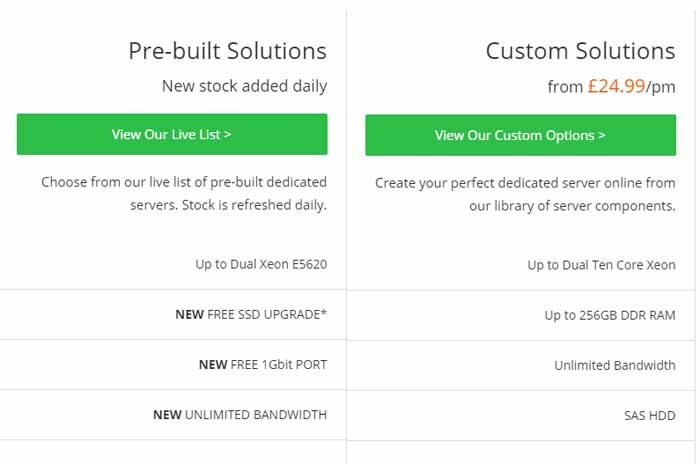 Alternately, you can also get custom built servers for your business. Custom Solutions start at just £24.99 per month. You can design your own Cloud Dedicated Server by choosing the different parameters for storage, RAM, CPU, and IP Addresses. The prices start from as low as £19.99 per month. Cloud infrastructure gives you the speed and flexibility to grow at your own pace and have access to your resources from everywhere. You can choose Linux or Windows for your Cloud Server. Similar to the Cloud Server, Easyspace lets you build your own Virtual Server. Prices start from under £10 and can go up to £75 per month. You can also choose plans specifically designed for certain platforms like WordPress, Joomla, and Drupal. The Control Panel is Plesk and the server is located in the UK. Easyspace also provides high-security SSL certificate at just £35.99 per year. They also offer Extended Validation and WildCard Options. You also get the UK-based support that is present for you round the clock. You can be set up and your website secured in a matter of minutes. It is very easy to apply coupon codes at Easyspace. Follow these steps. 1. Select your plan at Easyspace. 2. Now you will be redirected to a page where you can select your billing cycle. 3. Add a domain that you want for your website. 4. Apply discount code to get discounted deal.